Middlesex University Business School has been ranked 62nd in Europe among full-time Masters of Business Administration (MBA) providers by QS. The higher education rankings specialist compiled its Global 200 Report by surveying human resources managers at companies around the world that actively recruit MBA graduates. It asked them to select the schools from which they consider hiring alumni. For the first time, the survey also took into account academic reputation based on a global faculty survey. 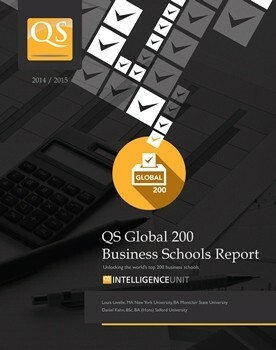 "Since the beginning, the objective of the Global 200 Business Schools Report has been to provide an indication of the employability of an MBA upon graduation," QS explained. Commenting on the Business School's position in the Global 200 Report, Director of Middlesex University's suite of MBA programmes Dr Paul Griseri said: "We have placed a strong emphasis not only on focusing on the really key things that every strategic manager needs to know, but also developing people's critical faculties, so that they can make effective practical use of management ideas, as a basis for future self-development."